A mystery that’s shaken a small southern Michigan town for more than eight years and has several times found its way into the national news spotlight is being told again under a more innovative and investigative lens. 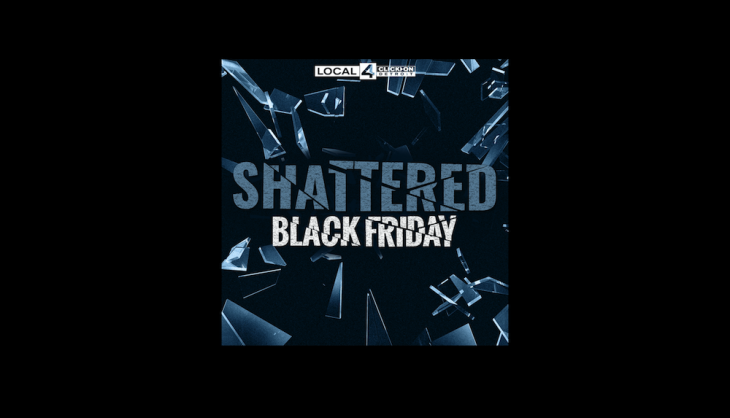 In February, Detroit’s NBC affiliate WDIV (Channel 4), launched Shattered: Black Friday, a Serial-esque podcast that follows the story of the disappearance of Tanner, Alexander, and Andrew Skelton, three brothers from Morenci, Michigan, a town that’s home to around 2,000 people. The father of the three boys, John Skelton, was supposed to return his sons to their mother on Nov. 26, 2010, the day after Thanksgiving. But he didn’t return the boys, claiming he gave them away to an organization in order to protect them from their mother. The boys have not been seen since that day, and John Skelton is currently serving time for unlawful imprisonment. Jeremy Allen, a sports and special projects producer at WDIV, has always had an affinity for podcasts and thought the story of the Skelton boys would lend itself to the medium. He started producing Shattered on his own before WDIV’s parent company Graham Media accepted the project, hoping to push out podcasts through a new initiative. The original plan for Shattered is for Allen to produce 10 episodes. Because of the story’s open-ended nature however, Allen believes there’s no restriction or limit to where the story will go and how long the podcast will continue after the eight episodes that have already been released. He also alluded to the freedom a podcast allows in comparison to the limits of a typical TV news story. “It’s a really big story and you can’t tell the whole thing in three minutes in a television newscast,” he said. Mike Oliveira, the VP and news director at WFXT, a Fox affiliate in Boston (who was recently transferred to Cox Media Group’s Charlotte station), also sees the positives of longer storytelling that podcasts provide. Oliveira’s former station produces a podcast, titled “New England’s Unsolved,” which covers cold cases. Both WDIV in Detroit and WFXT in Boston are investing in a future of podcasting by building recording studios at their television stations. Though freedom in story length can be a blessing, the medium has its shortcomings. According to Allen, only the top 0.1 percent of podcasts make a significant amount of money. Despite difficulties finding outside funding stations still see the benefits of another way to reach consumers. But it’s not just about money or spreading your station’s brand, it’s about telling someone’s story according to Oliveira. Will and Brooks are students at Northeastern’s School of Journalism.